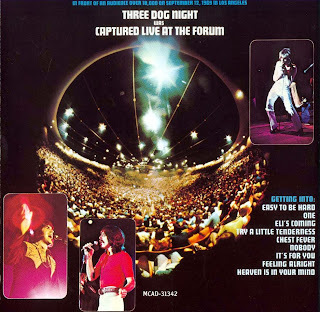 Captured Live at the Forum was so ubiquitous that it turned up with astonishing regularity in the collections of kids who did a lot of acid and suburbanite teens who otherwise listened to the Carpenters and the Partridge Family. 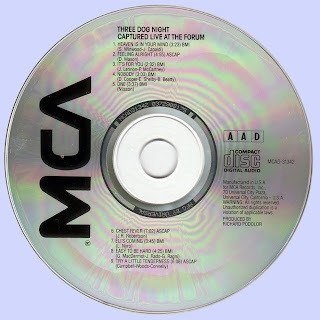 And with good reason: it was the album that proved this band was more than a radio phenomenon; that they could (and did) make as great music on stage as they did on their records, and their reputation was made from it. The Harmony material is a little less intense. The band had settled into a formula by then, a little more than a year later, and was more pop-focused, but they could still pile on virtuosity to match the versatility, and it's great to hear this material with the kind of presence it deserved in playback, so you can see why even some of the more questionable moments.